Have you ever run your fingers through your curls and felt like you had a handful of straw? Dry curls can be annoying to deal with, and frizz can be a pain to combat. 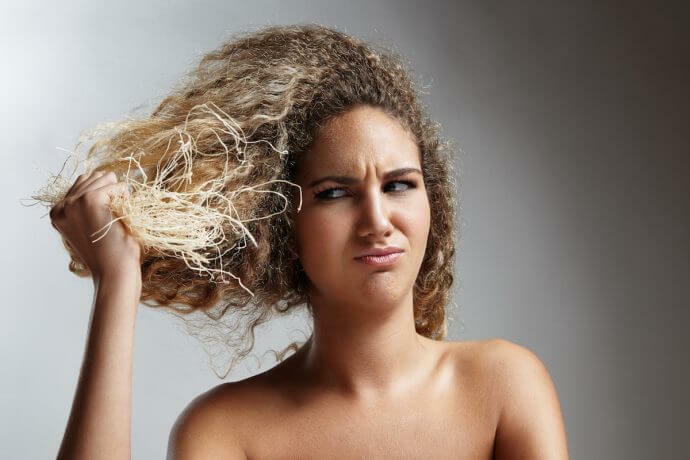 If your curls are dry, they might break which can inhibit growth. Here's how to get soft curls. While this can add some time to your wash day routine, it's worth it. Prepoo will protect your curls from loss of moisture during the cleansing process. While you don't need to do it every time, it's something you can have in your arsenal to combat frizz on days your curls feel particularly dry. When selecting a cleanser, make sure to pick up one that is free of sulfates, parabens, waxes, and other ingredients that can actually be harmful to your curls. While sulfates give that rich lather you're used to, that lather is what strips moisture away from your curls. You can learn more about cowashing curls here. When you're done shampooing, make sure to follow up your treatments by rinsing it away with cool water. Cold or cool water will close your cuticles back down, allowing moisture to remain trapped inside. This also cuts down on frizz. We can't stress the importance of deep conditioning enough. Every time you wash your curls you should be following up with a deep conditioner to replace moisture. Not only will the deep conditioner add in lost moisture, it will make it much easier to detangle your curls. Don't wait until your curls are dry to try and use a sealant. Use one while your curls are still wet to lock in moisture. There are tons of great oils to choose from. However, remember that a sealing oil is not to be mistaken for a moisturizing oil.